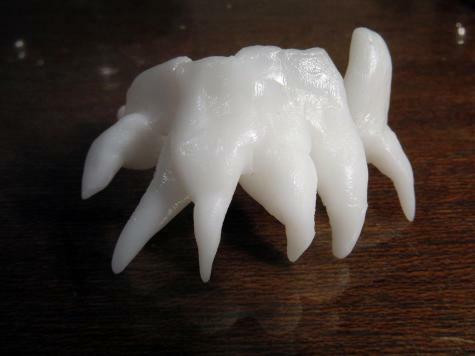 Some projects are perfectly suited to Plastimake's striking white colour. 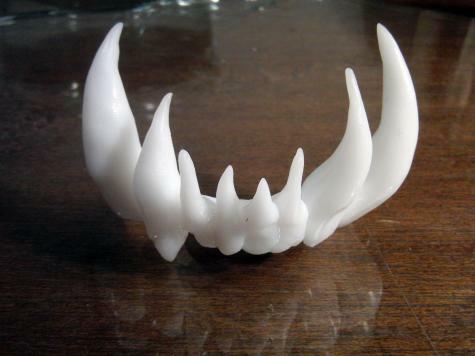 This set of Monster teeth is a great example of that. Form two sticks of warm Plastimake about 1cm wide and 10cm long. Wait until they have cooled to a comfortable temperature, then form them loosely over the tips of your top and bottom rows of teeth. Do not put piping hot Plastimake straight onto your teeth, it will be very painful. Once cooled, remove the Plastimake from your mouth. 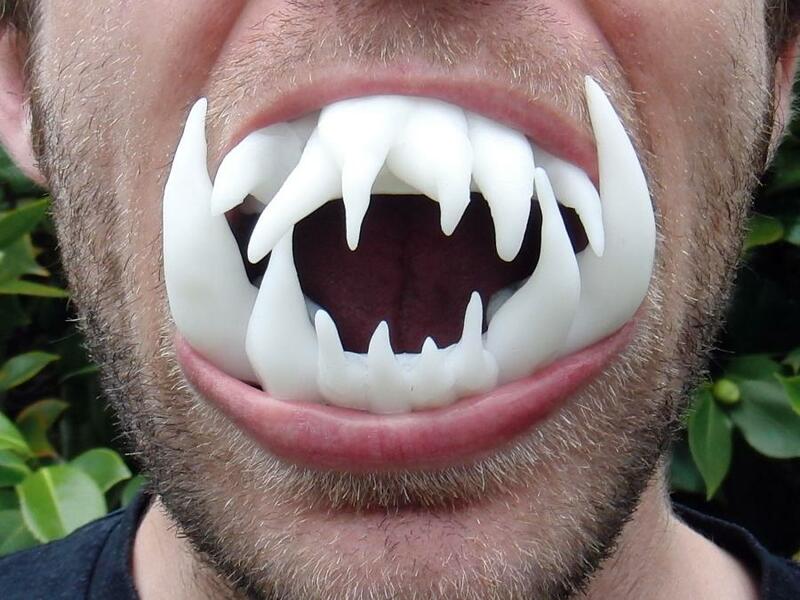 Then start making Plastimake teeth and joining them to your custom mouth pieces using the joining parts technique. It's helpful to have a mirror on hand so you see what it looks like in your mouth. 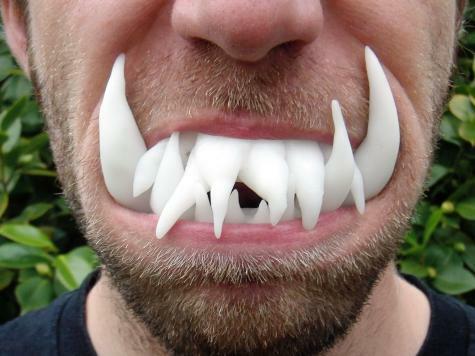 One word of advice though: Think carefully before wearing a horrific set of teeth like this to a costume party. When you have them in your mouth it is quite difficult to talk, drink, eat, smoke and kiss. So beware if any of those are things you might like to do at a halloween party!